With GMO soybean market booming, is there a future for conventional varieties? 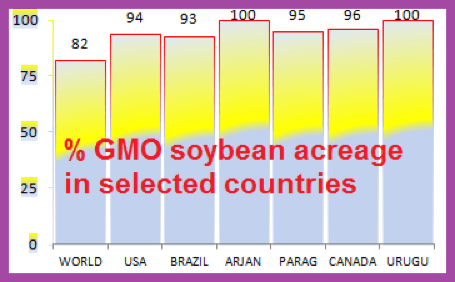 During the last 16 years, GMO soy production has reached 80 million hectares. It is almost 80 percent of total acreage worldwide as of 2014: 100 percent in Argentina, 94 percent in the United States; and 93 percent in Brazil. These developments make it extremely difficult to find GMO-free soybeans and soy additives, particularly in the three largest soy producing countries, which dominate the global export market. Herbicide resistant GM soy (Roundup Ready) growers are not legally permitted to use their patented seeds more than once; they have to sign a contract, guaranteeing they won’t replant the seed in coming years. But soybean seeds are autogam (self pollinating), and as a result, when they are not patented, they can be used for many years. 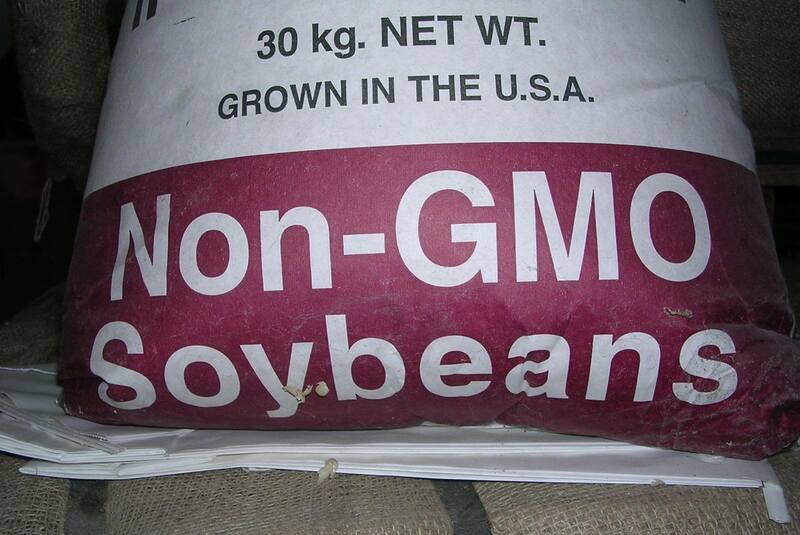 Even some non-GMO soybean farmers buy non patented seeds each year. Why? Soybean farming requires seed cleaning, spraying and professional packing services, and not every farm is equipped for this purpose. What is the current situation for non GMO seed companies? Their numbers are dwindling because of reduced availability of GMO free seeds and because they are being acquired by biotech seed companies. Soybean breeders are not improving non GMO varieties because demand is so low. 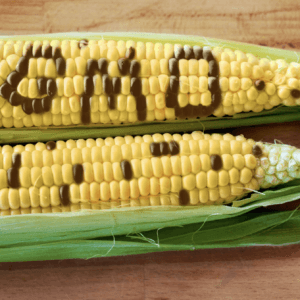 In recent years in the US, the number of GMO-free varieties decreased by 67 percent whereas GMO varieties increased 7 percent. It’s expensive preventing the intermingling of non-GMO and conventional GMO seeds. There are also some advantages for non-GMO soybean producers. Seeds are cheaper and farmers receive a premium for their crop, from 10 percent to 25 percent or more. Despite their lower crop price, why are more expensive GMO seeds preferred by most farmers? Disease and drought-resistant varieties are providing stable yield. As GMO soybean cultivation was not allowed in Brazil before 2003, the seed was being smuggled from Argentina. This means that producers were aware of the pluses of GMO varieties. Non-GMO soy cultivation needs herbicide application for both narrow and broad-leaved weeds, whereas during GMO cultivation only one glyphosate spray solves the problem and reduces input costs. In traditional soybean cultivation, farmers plow the soil, particularly for weed control before planting, whereas GMO soybean cultivation is generally a no-till method and doesn’t need any soil preparation, so farmers save time, money and labor. (No till also limits the release of greenhouse gases). 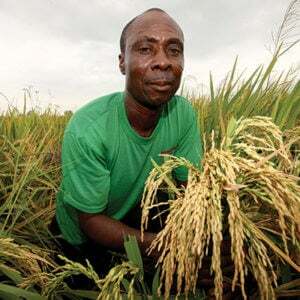 Because they can sow earlier in the season, farmers are also able to grow two crops a year rather than just one. In South America, because of the spread of GMO crops, millions of hectare land are double cropped. What about weed control? Because herbicide-resistant soybean varieties are used on the field, only one application of weed killer (glyphosate) is typically needed to solve weed problems. Saving soil preparation with only one herbicide application results in cost reductions, and that is the main reason why most farmers prefer GMO varieties. Many companies have focused on growing cheaper feed for their livestock production and becoming a GMO soy exporter. All of these developments are reflected in the low-cost GMO soy market. 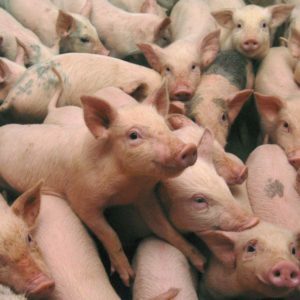 But as a consequence of the scarcity of non GMO seeds, GMO-free soy has increased in price, causing troubles within the organic livestock production sector, especially poultry and pork subsector within the European Union. Now they are looking for alternative sources of non GMO soy. To increase the numbers of classic, GMO-free soy varieties, the seed industry has taken serious steps forward. Brazil has put more emphasis on non GMO’s and has established an association, ABRANGE, to promote production. EMBRAPA—the Brazilian Agricultural Research Organization—has launched a comprehensive breeding program for new GMO-free soy cultivars along with several other groups to provide greater competitiveness along the production chain. 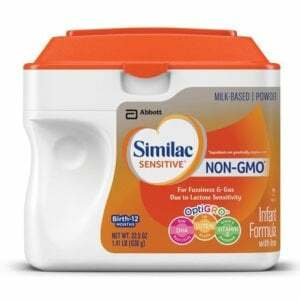 Some 13 companies now sell non GMO seed. The growing non GMO seed market is in part linked to what’s known as the 85/15 rule—a general agreement that distributors will sell 85 percent GMO and 15 percent non-GMO seeds. 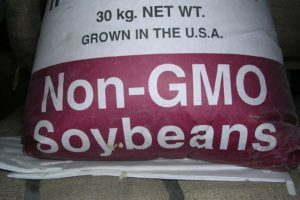 Monsanto and other multinational biotechnology and seed companies are also breeding non GMO lines with better tasting and more flavorful soybean varieties. Soybeans are not the only crop in which a shortage of non GMO varieties has developed. Sugar beet farmers in the US who have wanted to grow GMO free varieties have found that most sugar factories will only handle transgenic seeds. The story with corn is similar. In 2005, there existed 3226 hybrids. Within five years, this number dropped to 1062, whereas in the same period transgenic hybrid numbers increased dramatically. The situation with soy remains fluid. Seed patents for GMO soy (Monsanto’s Roundup Ready soybeans) have been expiring: Canada in 2012 and the US in 2013. And GMO seed might be seen as too expensive for some farmers. 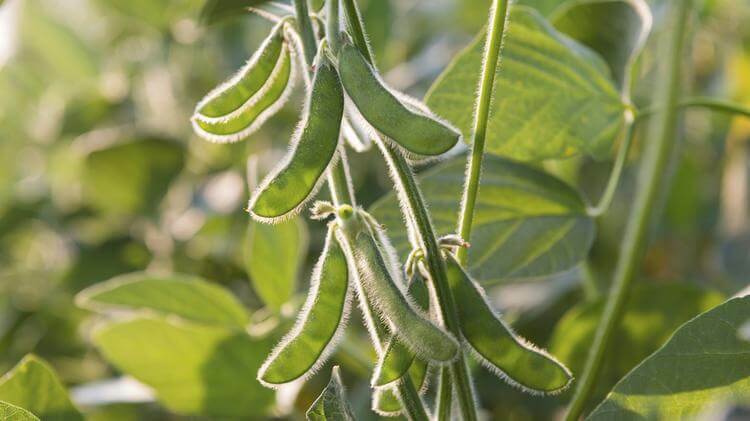 Meanwhile, the agronomic advantages of newly released non GE varieties and the non GMO price premium might open the door for both of GMO and non GMO soybeans to compete against other soy exporting countries. A version of this article originally ran on the GLP on Feb. 9, 2017.